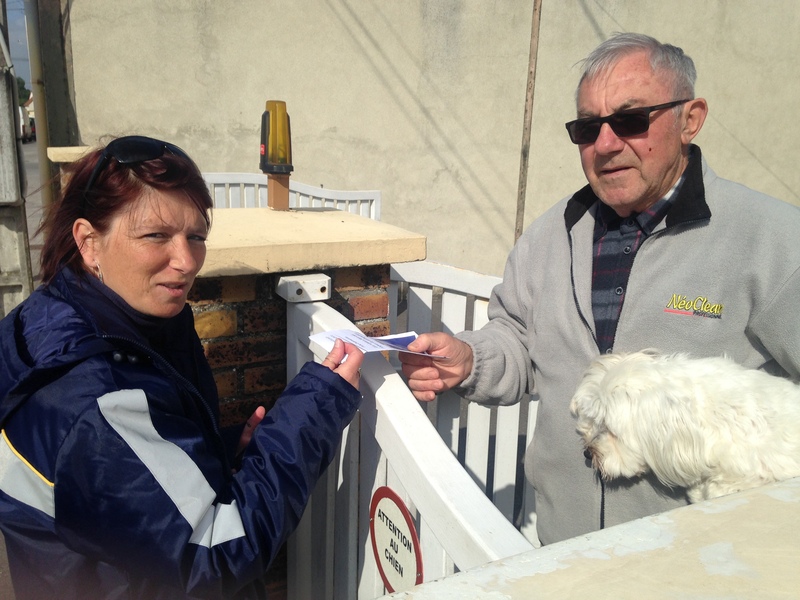 The Chauny city hall hires La Poste to deliver an informational flier for seniors over the age of 75. Mail carriers go right to residents’ doors to personally deliver this informative guide entitled “Seniors and crime risk”. A contract for delivery with commentary was signed on 16 April; the service was provided to 912 households from 14 May to 2 June. The city hall immediately turned to La Poste. Philippe Bassez, Security and Safety Coordinator for the city of Chauny, explains: “People open the door to their mail carriers more readily”. Initial feedback is positive. “Seniors are happy that the city is taking care of them”, says postwoman Sandrine Andral. Once the flier is handed over, seniors listen attentively as the mail carrier explains this initiative and provides a few safety tips (e.g. do not forget to lock your front door, do not let a stranger into your home, and do not hesitate to call the police if you’re not sure). Seniors have taken careful note of this information each time. “You’re right, I’ll be sure to read this very closely”, said a woman in her seventies living in the centre of town. “It’s always helpful to be reminded, because there’s always a risk you’ll be caught off guard”. Communication is a major challenge for companies and local authorities. Using this new service called Proxi Contact, they are making their communication more efficient via mail carriers and the personalised contact that the latter have with customers.